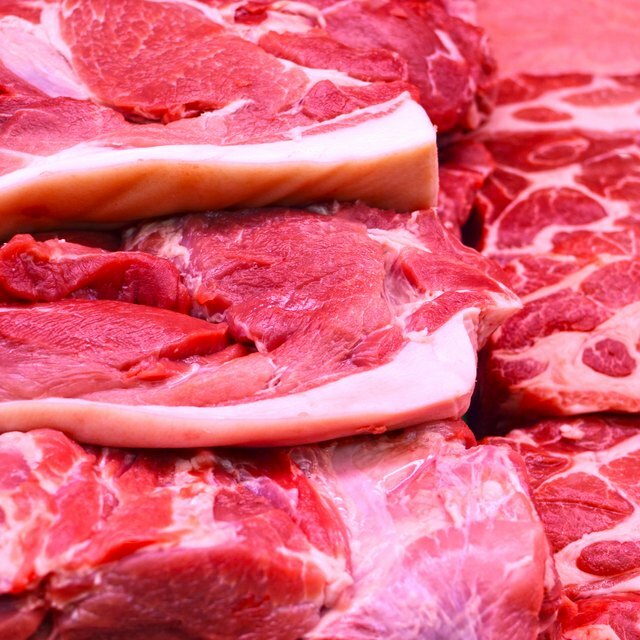 What Are the Dangers of Raw Pork? Shredded pork can be used in a number of recipes. A pressure cooker is perfect for cooking pork tender enough to be shredded. 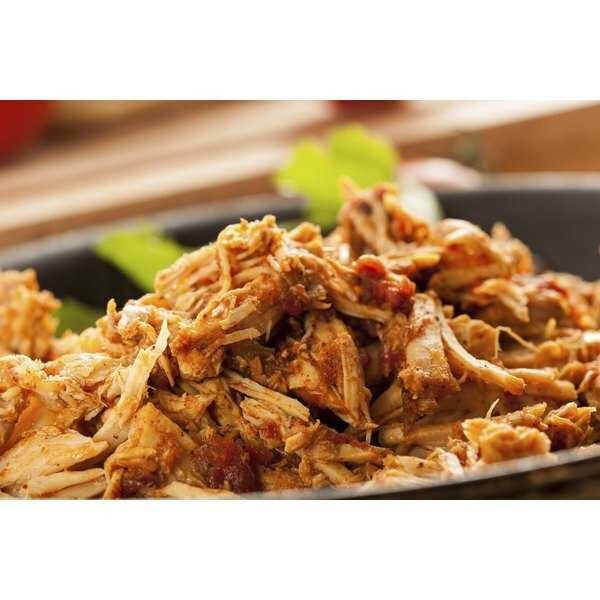 Also called pulled pork, shredded pork can be prepared in a pressure cooker from any pork cut from pork shoulder to pork tenderloin. The cooker supplies concentrated moist heat which braises the meat quickly with or without fat. While planning cooking shredded pork in a pressure cooker, make sure your cooker is a little bigger than the pork so that the meat does not touch the lid. Use a 6 quart pressure cooker for 2 to 3 pounds of pork. Prepare your favorite dry rub or mix sugar, salt, dry mustard and paprika in a bowl. Season the pork with the dry rub. Pour 1 cup of beer and 1 cup of water into the pressure cooker. Place the pork in a stainless steel steamer basket, and lower it into the cooker. Seal the lid of the pressure cooker. Bring the cooker to a high pressure of at least 15 psi. Cook for 80 minutes then turn off the cooker. Let it release pressure naturally or do so with cold water. Remove the pork to a bowl, and shred with two forks. How Long Is Pork Good for While Frozen?